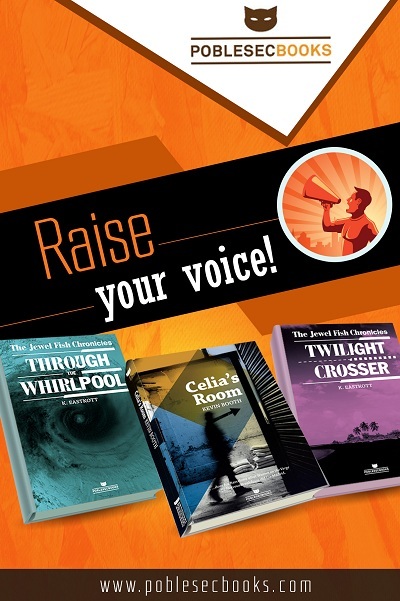 Raise the quality of your writer’s voice with professional editing. Poble Sec Books provides editorial services to author publishers – specifically developmental editing, copy-editing and proofreading of your novel or non-fiction book. Kevin Booth, member of ALLi and Associate of the Society for Editors and Proofreaders (SfEP), will be available at the London Book Fair to talk to members about editing and translating their books, websites and author pages, along with other aspects of the author-publisher process. Give your words the professional polish they deserve. Trading as Poble Sec Books, I provide editorial services to author publishers to ensure your project shines – specifically developmental editing, copy-editing and proofreading of your novel or non-fiction book. You owe it to your readers! Two decades of experience in the professional translation sector gives Poble Sec Books the expertise to translate your book, website or author page into any language. I translate and project-manage fiction, non-fiction, author bios, press releases, websites and more. I’ll be circulating around the Author’s Lounge over the three days of the LBF, so if you would like to have a chat about editing, translation, or any other part of the self-publishing process, feel free to contact me prior to or during the fair by sending a message to kbooth <at> poblesecbooks.com or via Twitter at @kb003500. Otherwise, go to the website at http://www.poblesecbooks.com and use the links there. See you all at the fair!